Vadean Trading Sdn Bhd is a building material supplier specialized in Fencing and Wire Mesh product. Throughout years of development since our establishment in the year 1989, our company has built our excellent reputation as one of the most trusted name in the industry by providing unwavering commitment to our customer. Our company began merely as a manufacturers of chain-link fencing and steel wire products located in Johor Bahru, Malaysia. 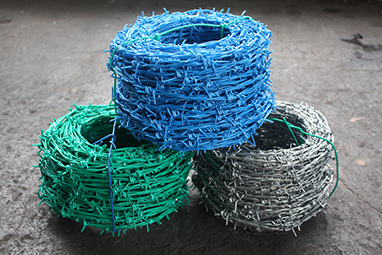 After years of effort, we have successfully expanded our product variety into other building materials such as BRC Wire Mesh, Reinforcing Steel Bar, Galvanized Wire Mesh, Gabion, Razor Barbed Wire, Nails, Ultragal Pipe, Angle Bar and Geotextile. We also further specialize our profession in fencing industry by offering different type of fencing such as Chain-link Fence, BRC Fence, Anti Climb Fence and V-Press Fence to fulfill our customer needs. With our high technology machine support, we provide custom-made services in our fencing and wire mesh products by creating a new product base on our customer needs in term of the sizes and quality. We also provide delivery service throughout the entire peninsular Malaysia. Our quick delivery service with always with stock ready is reliable to our customer for any emergency need. Contact us now, we strive to achieve higher production level to fulfill customer’s satisfaction and promise to deliver the best quality of products with competitive prices. To provide our services with passion and products with quality promised and serve our customer with our product knowledge and market experience in highest integrity and honesty. To become the first choice for anyone looking for building material.